Apple (NASDAQ:AAPL) does have a "next big thing," it may be coming in a matter of months, and if we listen carefully, it's hardly a secret. Wall Street's obsession with Apple Inc's "next big thing" has grown tiresome, and in so much as Apple Inc stock has hit all-time highs, that narrative has all but ended -- and that's why it's time to look at it right now. Tim Cook, Apple Inc's CEO, has long noted, surprisingly openly, that he feels that Augmented Reality (AR) is the next frontier for technology in general, and Apple Inc in specific. In a recent interview in the Independent, we got some real gems from him (our emphasis added). I regard it as a big idea like the smartphone. The smartphone is for everyone, we don't have to think the iPhone is about a certain demographic, or country or vertical market: it's for everyone. I think AR is that big, it's huge. I view AR like I view the silicon here in my iPhone, it's not a product per se, it's a core technology. It's rare to get so much out of Tim Cook about the future, but to the casual observer, while this was eye opening, it was just about the future. But, we will not be casual observers. Back on July 18th, 2016, we noted that Apple had submitted a fairly detailed patent application to the United States Patent and Trademark Office (USPTO). In fact, here is that dossier: Apple Files a Patent for Augmented Reality. displaying computer-generated imagery representing one or more objects in the live video on the touch sensitive surface; overlaying the information layer on the computer-generated imagery; receiving data from one or more onboard motion sensors indicating that the device is in motion; and synchronizing the live video, computer-generated imagery and information layer using the sensor data. We pulled it out there -- "live video on a touch sensitive device." And, as if that wasn't clear enough, we got renderings -- the coloring was added by CML Pro. So, we start with a live recording and then Apple Inc. provides tools to augment that reality in real-time. We also got this -- CML Pro has annotated the image. The technology Apple Inc is inventing will allow an user to create a 3-dimensional map of an area, in real time, which is then overlaid with information that augments their reality. But it's not just video games that Apple is after. In English, what Apple (NASDAQ:AAPL) has patented is a system where a recording of a live video circuit board can be "layered" with an user's own annotations and through that process create a 3D perspective view of live combined with the annotation layer. The car mechanic and grade school teacher are good examples, but it goes further. Apple dove head first into medical applications for the Apple Watch, this technology goes yet further. Doctors might also use it to superimpose medical information over a live video of a patient, or a X-ray or MRI could overlay the video so medical professionals could better diagnose an issue. We note one critical element here that is also in several other of the renderings. 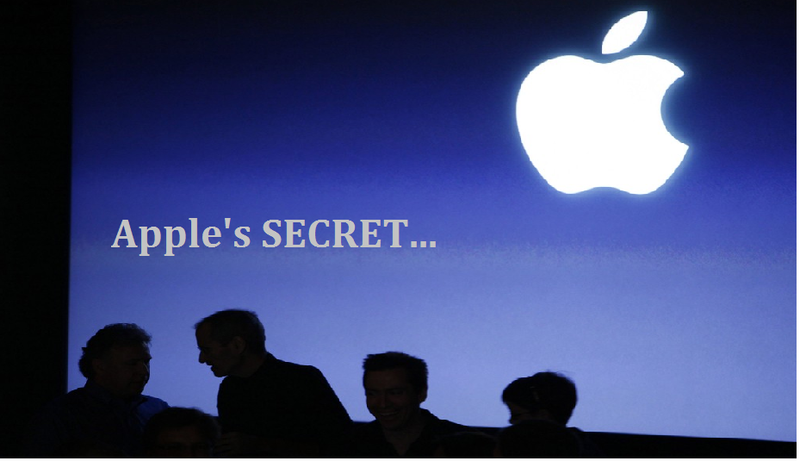 Apple (NASDAQ:AAPL) has explicitly, several times, noted the ability to "share." Apple Inc does have a patent filing out for a new social media which, unlike Facebook and the rest, actually involves real world interactions and that's a big change from other social media. That is, social in the truest sense of the word, not a friend-voyeurism, but actual interactions. We actually covered Apple Inc's big patent for a social network in this dossier: The Secret's Out: Apple is Creating a Social Network. Apple (NASDAQ:AAPL) is releasing its 10-year anniversary iPhone this year, and while analysts get credit from the media for knowing if the new iPhone will have an OLED screen -- something thing that consumers have openly stated they actually don't care about -- Apple Inc may be setting us all up for a real, big, and groundbreaking surprise. Even further, it may be the case that Apple ties the AR capabilities into iMessaging, making the capture sharable via the native texting app. Finally, it's a long shot, but also possible, that the AR capabilities, when shared through iMessaging, will connect people that are nearby, exactly as the social network patent describes in great detail. The incredible success of Pokemon GO in the Apple App Store and the new found following of Snapchat's AR focused social media may be the perfect tailwinds for Apple Inc to bring AR one step further -- onto the iPhone with native software into the camera. If this is the kind of research that sparks your interest -- research that can make a difference in your investments, then what we offer may be up your alley: Our research sits side-by-side with Goldman Sachs, Morgan Stanley, Barclays, JP Morgan, and the rest on professional terminals as a part of the famed Thomson First Call group. We aim to find the companies that will be the "next Apple," or the "next Google" by diving deep into the trends that will shape the future and finding the lesser known companies that will power them. Each company in our 'Top Picks' portfolio is the winner in an exploding thematic shift like self-driving cars, mobile data and connectivity, health care tech, artificial intelligence, Internet of Things, drones, biotech and more. For a limited-time we are offering CML Pro for $19/mo. with a lifetime guaranteed rate and you cancel at any time with no notice. Get the most advanced premium research along with access to visual tools and data that until now has only been made available to the top 1%. The author is long shares of Apple Inc. (NASDAQ:AAPL).